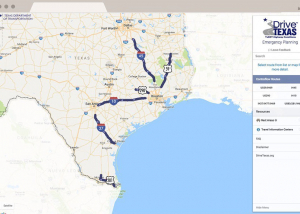 Interactive planning map for the TxDOT showing evaucation routes to be used in the event of an emergency. 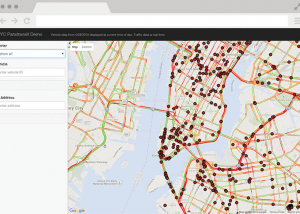 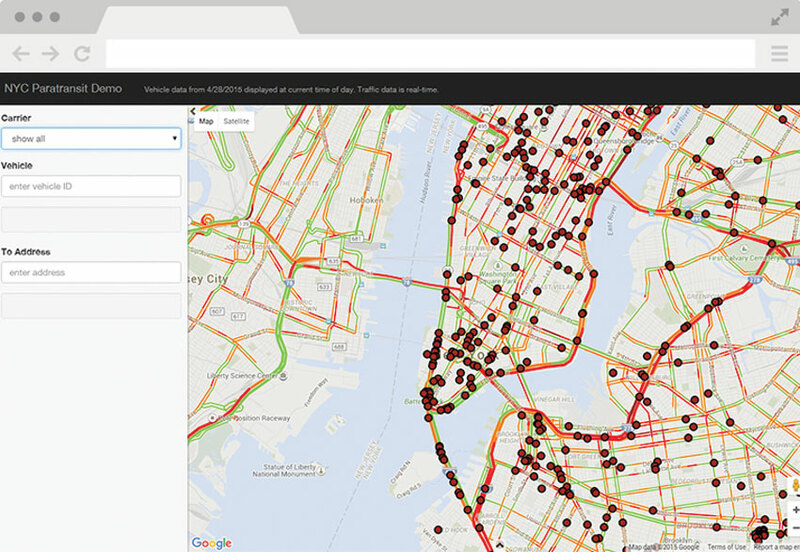 See real time traffic conditions and calculate estimated time of arrival of vehicle fleet tracking. 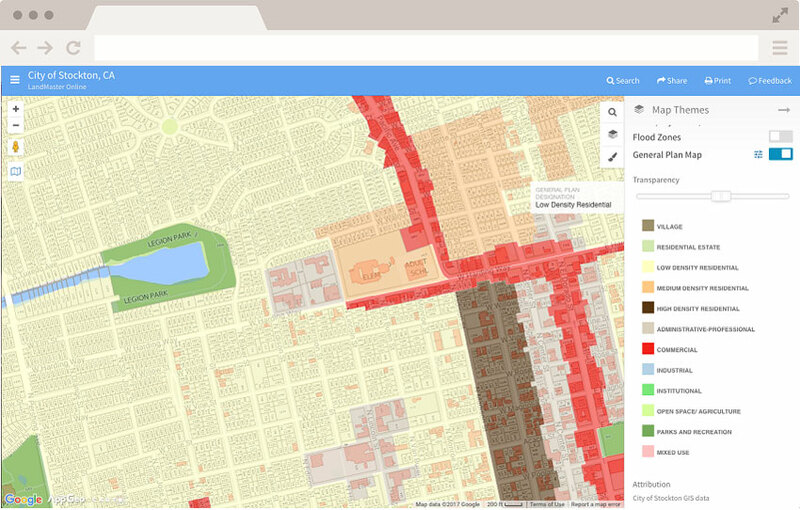 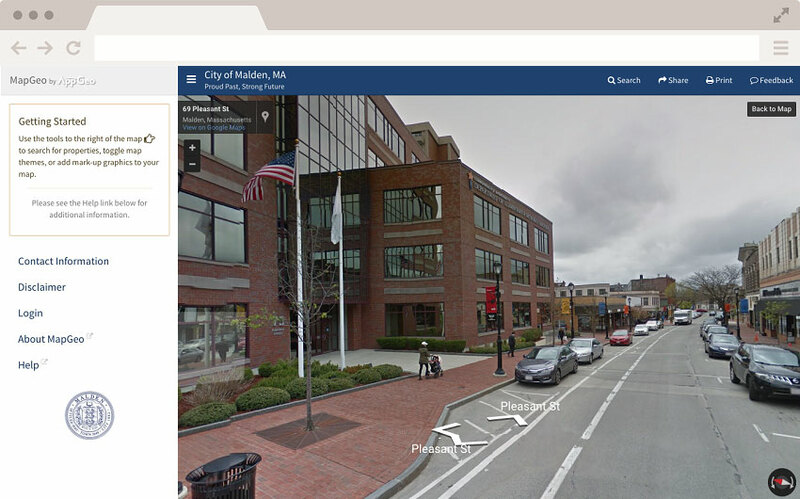 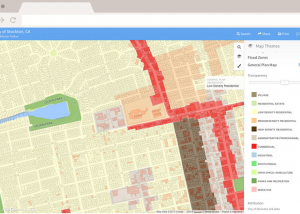 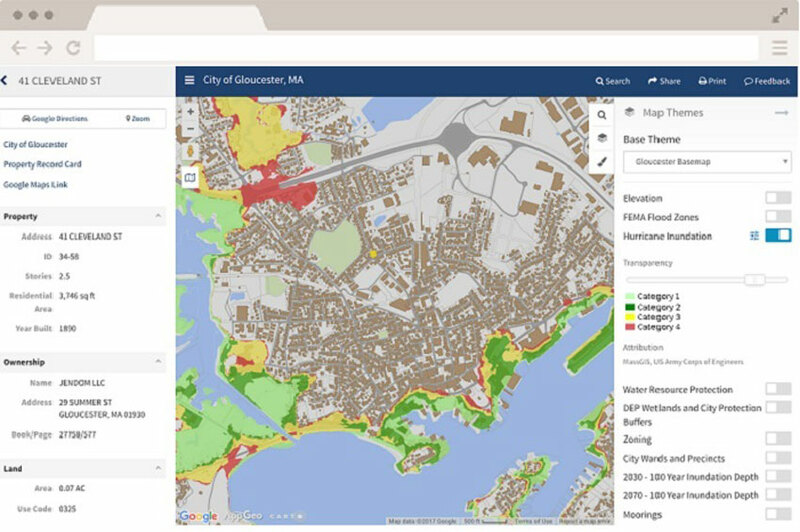 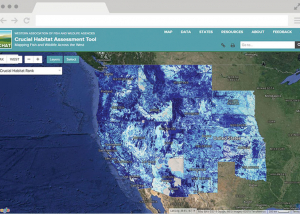 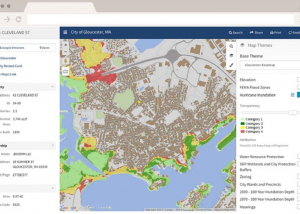 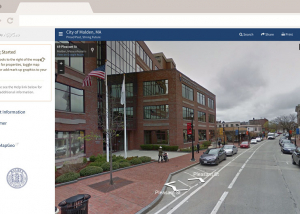 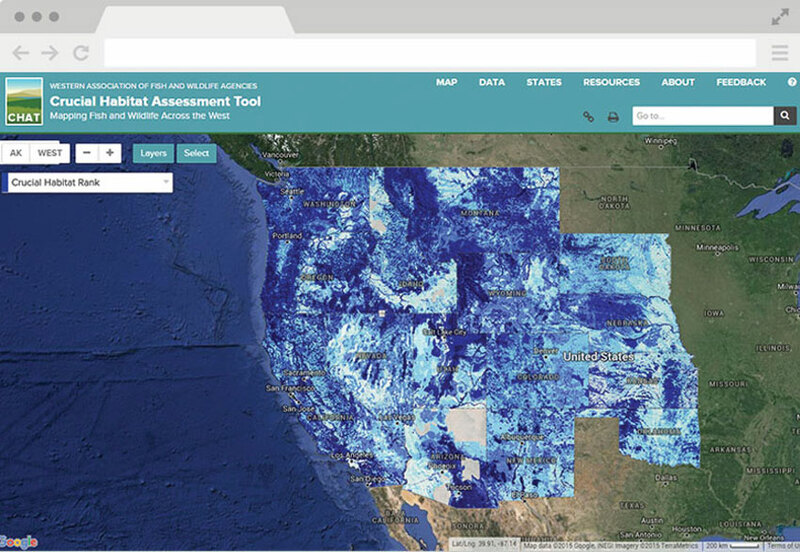 WAFWA CHAT is a cross-state habitat assessment mapping tool. 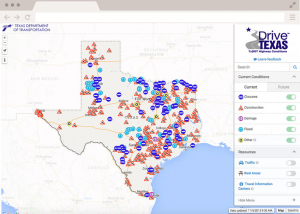 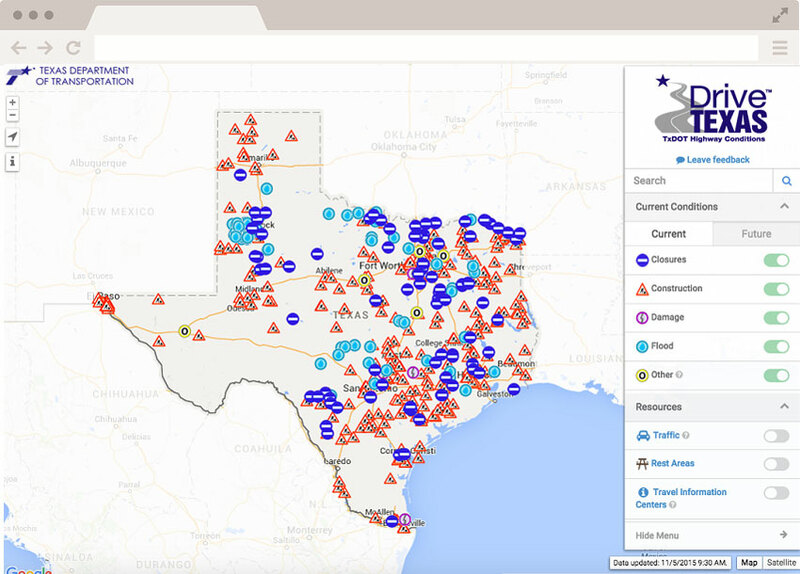 Real time road conditions website by the State of Texas Department of Transportation.